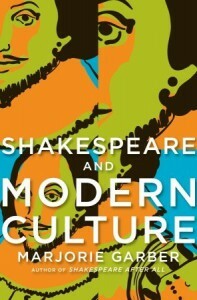 Shakespeare and Modern Culture is a related series of essays focusing on ten of the Bard's plays. Garber argues "Shakespeare was...a writer and thinker who changed the fundamental was in which people write, read, and think." (p. 270) A relatively uncontroversial position, at least in Anglophone literature and culture. Where Garber goes beyond that is in her position that Shakespeare, having created the framework by which we interpret the world, has been continually reinterpreted by subsequent generations (along with his plays) within those constraints. 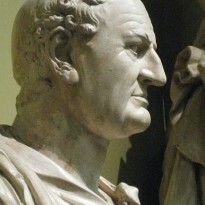 His purported "timelessness" is a result of his "timeliness." It is the chief fault of this author's writing that this thesis isn't clearly expressed until the final four pages. There were two things that marred my enjoyment of the book. The first was a personal failing - I don't have much of a literary/literature background and was often unable to fully grasp and appreciate Garber's points. The second thing lay squarely in the author's lap. Garber tends to write in a highly elliptical style, heavily laced with academic jargon. Too often a chore to read. If her prose had been a tad more user friendly, I could bring this book into the 4-star range (regardless of my personal ignorance). Before moving on to mention some of the interesting points I found in the essays, I do want to mention that a good feature of Garber's writing is that she has an almost unerring knack for picking just the right quote to illustrate her point. The third essay, "Coriolanus," is an example of the jargon-laden, opaque writing that ruined some of the readings for me. Garber gets into a deep, extended riff involving Bertold Brecht and Gunter Grass, hardly mentioning Shakespeare or his play at all. It only ever gets this "bad" in the final essays on "Hamlet" and "King Lear," thankfully. In "Macbeth: The Necessity of Interpretation," I found Garber's chief point to be that the play is a reflection of the unending cycle of corruption, betrayal and guilt. In addition to her eagle-eye for the apt quote, Garber also pointed out a scene from Roman Polanski's version (w/ excellent performances from Jon Finch and Francesca Annis) that I remember but which now has new meaning: The final scene of the movie is not Malcolm proclaiming his coronation at Scone but is of Donalbain, the younger brother, returning to the heath where Macbeth met the witches. The essay "Othello: The Persistence of Difference" is interesting in its charting of peoples' reactions to the play - the "race" question has not always been the central one. I also enjoyed Garber's taking to task the recent trend in self-help/business publishing to co-opt Shakespearean figures - in this case "Henry" as the paragon of "Leadership" - missing all but the surface qualities of the character. In Henry's case, Garber argues (I believe correctly) that the spate of leadership books ignores the ambiguities of command and that events are often beyond one's control (never more so than in war). As I mentioned earlier, the last two essays - "Hamlet: The Master of Character" and "King Lear: The Dream of Sublimity" - lost me about half-way through in each but I did net some interesting fish. For example, the oddest interpretation of Hamlet I learned of was Edward Vining's argument that Hamlet was a woman. (pp. 202-03) In "King Lear," Garber makes the significant point that, until 1838, no one saw the original play - they were watching Nahum Tate's "improved" version (the one where Cordelia and Edgar are secret lovers and she lives...I shudder at the very idea). Despite its flaws, I enjoyed this book and did gain an even, ever deeper appreciation of Shakespeare's work and importance. I can easily recommend this book to anyone interested in the subject.